TVF's Sameer Saxena, Vyom Charya, actor Amol Parashar and Drivezy's Abhishek Mahajan, shared their insights with us. 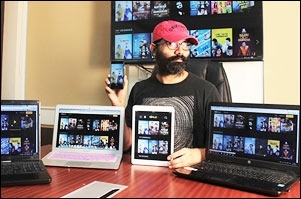 Back in 2012, a YouTube-based content creation company, The Viral Fever (TVF) (media labs), founded by Arunabh Kumar was all over YouTube with its short-form comedy shows like 'Rowdies' (MTV 'Roadies' parody). In 2014, they decided to up the ante and developed original drama series like 'Permanent Roommates', a 13-minute plus episodic series that was widely accepted. Back then there was no Reliance Jio, data was not as cheap as it is today and buffering was quite synonymous with online video. 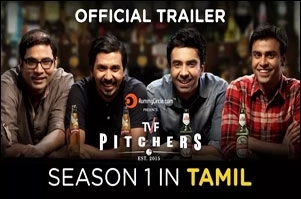 In 2015 TVF launched its second web-series - 'TVF Pitchers' - and there was no looking back. The web-series genre was becoming increasingly mainstream among youth and investors started realising the potential in online video. By early 2016, TVF raised $10 million from Tiger Global. Cut to 2019, TVF has established itself as a studio (Rs 300 crore company, as per reports) and is set to release season two of its original drama series 'Tripling', a show about three siblings on a road trip. In a panel discussion at the third edition of vdonxt asia held in Mumbai last month, Sameer Saxena CCO, TVF; Amol Parashar, actor; Abhishek Mahajan, co-founder, Drivezy; and Vyom Charya, director - brand solutions, TVF spoke about the upcoming project. The first question from afaqs!' moderator, Anirban Roy Choudhury, was why it took so long for TVF to announce the release of Tripling's season two. "It took us a year - 18 months - to decide what we should do in season two and how we should approach the series. Tripling is a unique show where siblings go on a road trip unlike the ones we've watched so far where friends hit the road," he added. Saxena also mentioned that the success of season one is what made them think about releasing a second season. The next question was to Parashar who has had experience working on TV shows, Films and web-series; we wanted to know if there is a difference in the way an actor approaches each segment. Parashar's prompt response had the crowd laughing, "The only difference is in the pay cheque." He added, "For an actor, it is the same on each platform. What the director wants from an actor while he or she is acting on a TV show can be different on a film. I think the difference is for the writer and director, for actors it's always the same." Tripling season two is not TVF's first sequel to an original series; the studio has already released season two of 'Permanent Roommates'. When discussing whether or not a show should have a second season, Saxena said, "You need to analyse if the story is worthy enough to have a second season and only then go ahead." Saxena also added that there is no clear time limit within which one should release a season two. "Sooner the better. Season two of Permanent Roommates released after an 18-month gap. Some series might have a longer or shorter break before the next part is released," he states. TVF is not only a pioneer for Indian long-form web-series content, but they were also ahead of the others when it came to getting brands integrated into a story. In 2013, TVF released Atayachaarge, a parody of UTV Bindaas' 'Emotional Atyachaar' which had Freecharge weaved in. In Tripling's season 2, self-drive car rental brand, Drivezy has partnered with TVF to be part of the story. "We wanted to make renting look and sound cool while communicating that owning a car is an outdated concept and that sharing or renting can change the world. When we looked at mediums that could help us communicate this and make car rental and sharing synonymous with Drivezy, we found a good blend in Tripling," says Mahajan. He added that the brand got in touch with TVF when Tripling was in its planning stage and was involved throughout the process of production. TVF's last show - 'Yeh Meri Family' - had Mutual Funds Sahi Hai as its partner and the brand was integrated into the story. When asked if there is a difference in the way he pitches a season two compared to a debut series to a brand, Vyom Charya explained, "One way of looking at it is the second season is a tried and tested property and has developed a fanbase and will certainly be bigger and better than the last edition as the internet is growing every day. While some brands will find a sense of confidence in it, there are others who would much rather be associated with something new." Tata Tiago was integrated into the first season of Tripling. There's a strong possibility that viewers would most likely recall the brand, but would it be a challenge. Mahajan does not think so. The second season of Tripling will be available for viewers to stream in March and it remains to be seen if the on-screen siblings manage to retain their followers and 'drive' further.